CONGRATS TO KEITH B. In OHIO!!!!!! YOU ARE THE FIRST WINNER FROM MOVIEASSIGNMENTS.COM! Keep watching for more contests to come!!! Next up? An Amazon.com gift card!!! Stay tuned!!!! Want to win a free “clicker”? 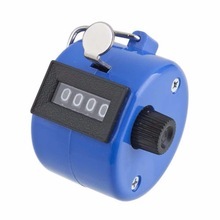 These are hand-held tally counters. You can use them to count people attending movies! You just press the little silver button every time whatever your counting occurs. When it stops, your count is displayed on the dial. You can count up to 9,999! When you’re finished, you turn the knob on the side to set it back to all zeroes. I’ve used these for years for open checks. If you don’t have one, you should buy one, OR…… Win one! By using these links, First, you get a free share of stock to add to your account, and Second, I get a free share of stock for referring you! Most people get stocks in the range of $5-$10 each, but the husband of one of my friends got a share in Facebook! they give away random stock. So, if nothing else – join… get your free shares of stock – sell them… and withdraw the money. Now, these are official, legal brokerage accounts. As such, they ask for a lot of personal information. Robin Hood was easier to sign up for, as Webull even had you take/upload a photo of a state issued id. But, LeAnn signed up for each today, took about 20 minutes, and got a total of just over $11 in stock for her troubles. Be sure to complete the sign-up process all the way through. You don’t have to link your bank account (Neither LeAnn nor I had to) in order to get your free stock. But, you do need to complete all the steps in order to get your free stock. If you get a free share of stock by using the links above, then your name or phone number shows up on my list as having completed the signup process. From the list of everyone that shows up under my account as having completed the signup process by 8:00pm on 10/8/18 – I will draw a name at random and that person wins the free clicker. I’m even paying for the shipping!! So – go sign up for your accounts and get your free shares of stock! Let me know what you get!!! Good luck on a high dollar stock AND the tally counter drawing!! !